A staggering concept and an incredible product. The A.T Cross Company have been making superb quality writing instruments for over 170 years. This year we are thrilled to offer our clients access to one of the most exciting products available. Cross have teamed up with Liberty United to bring you the unique Cross X Liberty United Collector’s Edition. Part of what makes this partnership special is that 20% of Liberty United profits go to programs supporting the 17,000 children affected every year by gun violence in America. What makes the Cross X Liberty United unique? 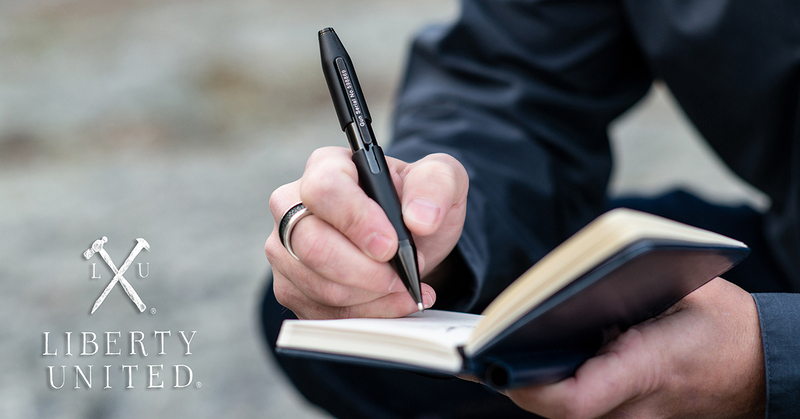 Each pen features a gunmetal disk made from an illegal gun confiscated by police. The metal is melted down and stamped with the Liberty United logo before being inlaid into the pen. 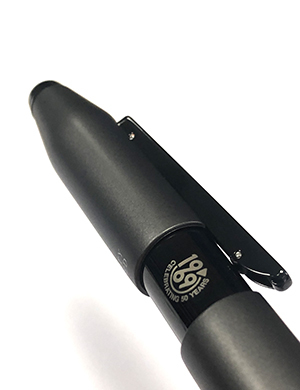 The serial number of a confiscated gun is featured on the clip of every pen, marking a weapon that will never again enter circulation. Presented in a luxury box this memorable product is a perfect executive gift to really give your clients, colleagues and partners something to think about while helping a good cause.